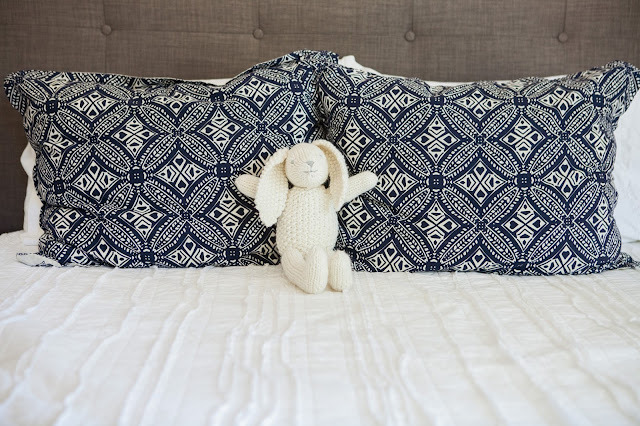 It's been a busy week for pattern releases! 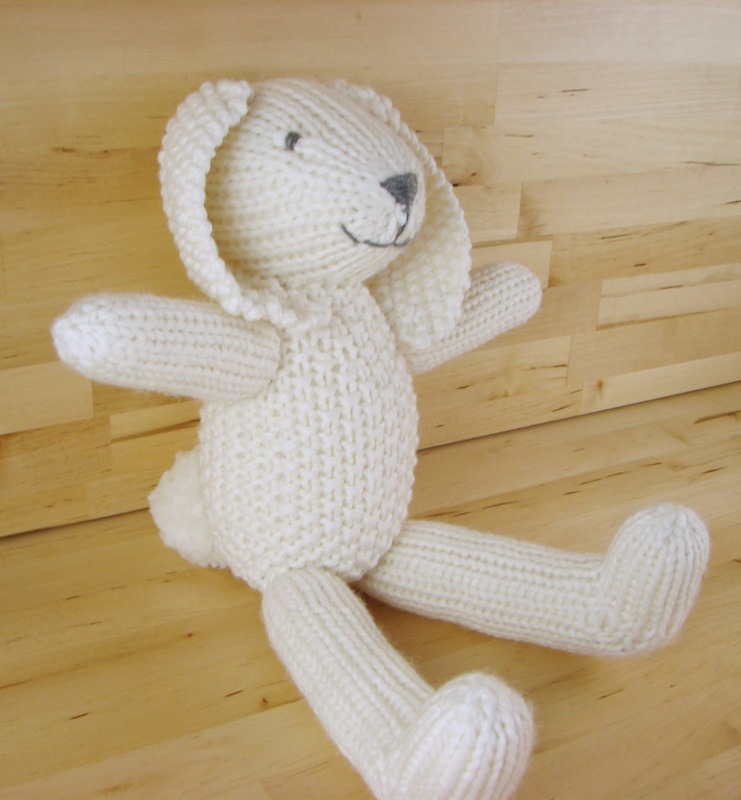 One of my favorite new patterns is the Snowy Bunny, which is part of a new Knit Picks collection called Under 200. 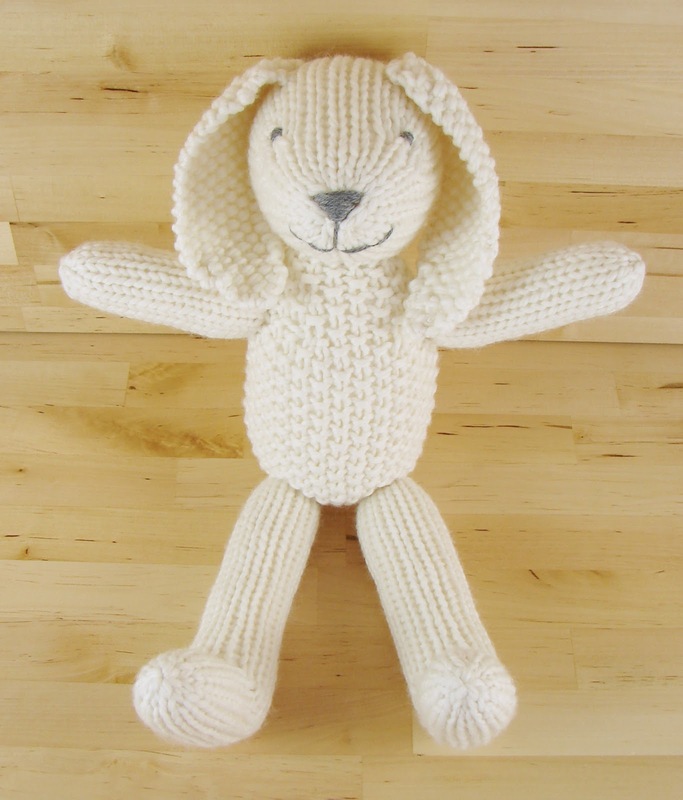 The collection has lots of patterns that work up quickly and use small amounts of yarn. 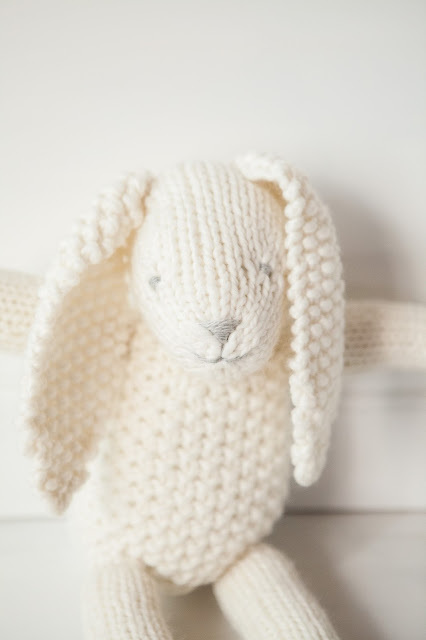 They're great for gifts and stash-busting! 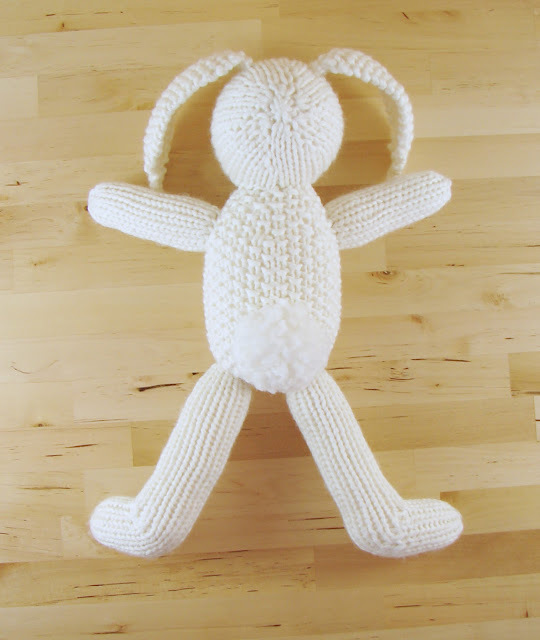 This lovely little bunny is worked mostly in the round (all pieces except for the ears). The body and ears are seed stitch and the arms, legs, and head are stockinette stitch. The nose, mouth, and eyes are embroidered on and the tail is a pom-pom. Short rows are used to form the feet. 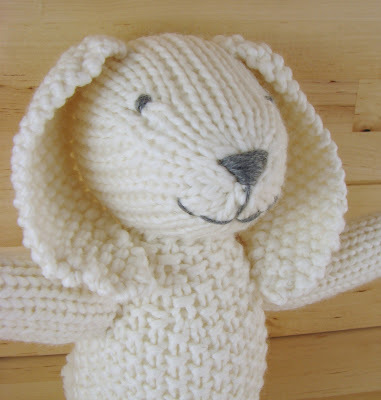 It is simple and fast to make, but the end result is amazingly adorable!